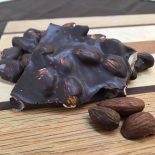 Home » Shop » Chocolate Bark » Dark Almond Bark – 1 lb. Whole roasted almonds and rich dark chocolate. Chocolate and nuts are a popular combination. 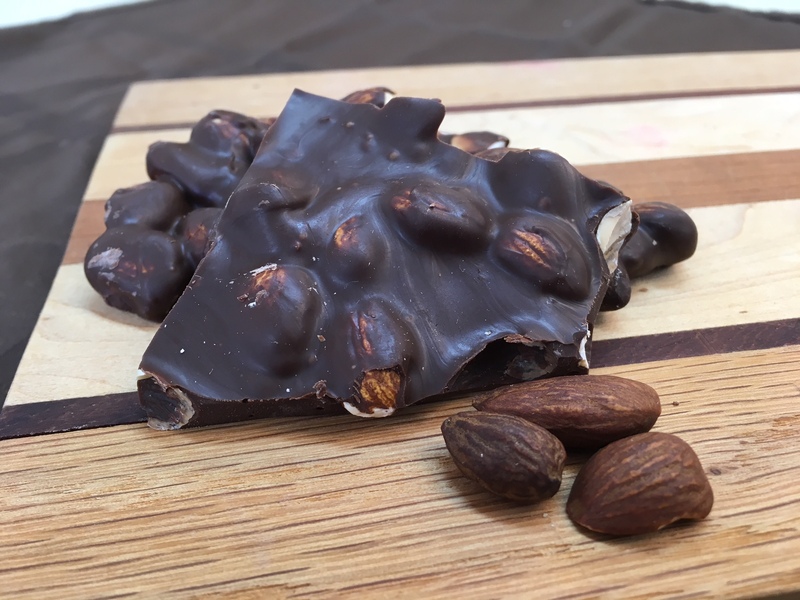 These healthy roasted whole almonds are clustered with rich dark chocolate for a delicious snack that many studies show is even good for you. This product is dairy free.